Film Haul — Craig Fontes, Jr.
Oh, Man! The last few days have been a blast! It really does feel like Christmas when you can give photos and receive film, and I received a bunch of film. 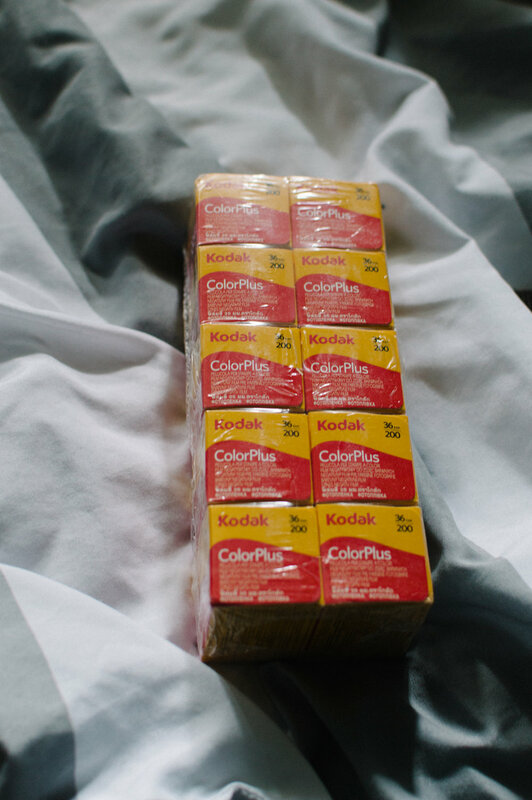 After copping a few new cameras (a Fuji Instax Wide 300, and a few 35mm point and shoots from my local thrift shop) and lacing my film shelf with a 10 pack of colorplus, 5 packs of Agfa Vista 200 and a 5 pack of Portra 400, I am all stocked up and ready to shoot. My first film experience since High School came out pretty well (check it out HERE) and I decided to go all in on film for a while. In preparation, I've been watching a ton of Negative Feedback YouTube videos and running through rolls of Superia 400 like crazy. Not quitting digital (or even taking a break really), just adding to my arsenal of cameras and shooting a ton of film. I've got about 7 rolls in the shop right now, and I'm waiting on the results. The point and shoot 35mm cameras I found at Good Mojo are fun to shoot and a breeze to cary around, but I've got to get my scans back before I can do any revewing. I even found out about a local Developing Lab, which may very well be the only spot left in Norfolk. I'll be heading out that way after the new year to shoot and grab a camera or two.